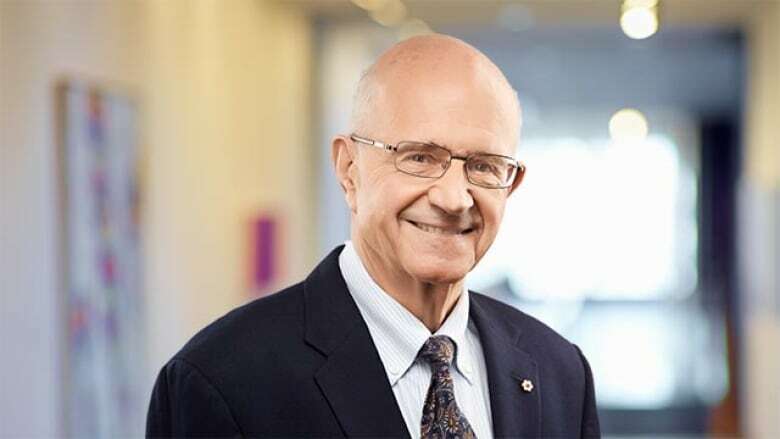 Retired Supreme Court justice Frank Iacobucci will lead the new consultation process with Indigenous people on the Trans Mountain pipeline expansion project. Natural Resources Minister Amarjeet Sohi announced today that Iacobucci will act as the federal representative to design and oversee the consultation with affected Indigenous communities. He also confirmed that the federal government does not plan to appeal the Federal Court of Appeal ruling in August that stopped the project after concluding that Ottawa's consultation efforts with Indigenous communities were inadequate. Sohi said the consultations will move ahead with an "open mind" to fulfil the government's duty to meaningfully consult with Indigenous communities, and he would not put a "stop clock" on that process. "We're going to take our time to get this right," he said. Sohi said the process will move ahead in a "focused and efficient manner," building on past information rather than starting from scratch. The government will not make decisions based on election cycles, he added. "We also understand there will be groups who will still oppose this project. That's fine, because that's their right to do so," he said. "But that doesn't mean if we fulfil our constitutional obligation that those groups may have a veto to stop this project." Prime Minister Justin Trudeau said that relinquishing an appeal will expedite construction. He said the government will follow the roadmap given by the court that respects and partners with Indigenous people and relies on proper environmental research and science. "We feel that the blueprint the court laid out for TMX will allow us to get things done quicker and get our resources to new markets other than the U.S. in a more rapid fashion," he said. In a statement, Iacobucci said he is "honoured" to take on the role and eager to begin. "How this process is managed is of deep concern to all the parties involved and is profoundly important for the country," he said. "I am committed to working diligently to ensure that the court's judgment is applied properly and that Indigenous peoples are meaningfully consulted." Sohi said the government will double the resources available for consultation with Indigenous groups, and will listen, consult and make reasonable accommodations. It's the second announcement from Sohi laying out the Liberal government's strategy for proceeding after the Federal Court of Appeal quashed approval for the project, which would nearly triple the flow of oil from Alberta's oilsands to the West Coast. Conservative natural resources critic Shannon Stubbs said getting the pipeline built should be the government's top priority, and that today's announcement offers no commitment on when construction could begin. "The Federal Court of Appeal gave the Liberals clear directions to address their failure to properly consult with Indigenous communities. But instead of following those directions, the government announced they will launch another process, with no timeline, that will only further delay construction," she said in a statement. "That is absolutely unacceptable." Last month, the government announced it was giving the federal pipeline regulator, the National Energy Board, 22 weeks to review the project and consider its impact on the marine environment. At the time, Sohi said word on new consultations with Indigenous people would come at a later date.